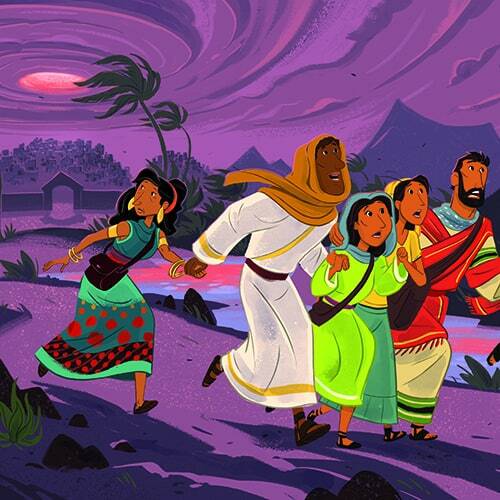 Sunday School Zone has invested in high quality, professionally-created Bible illustrations that help Bible stories come alive. 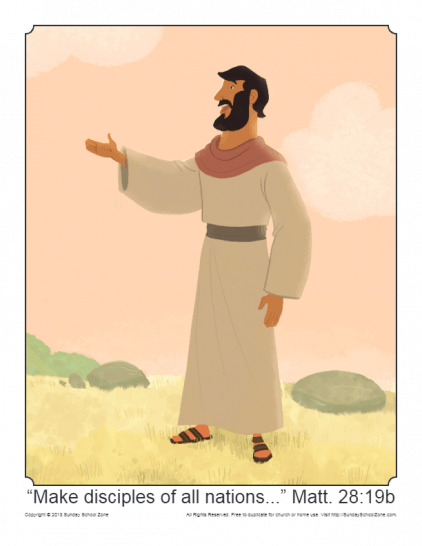 We utilize these illustrations along with the free Bible activities on the site and in God's Unfolding Story curriculum. In each case we have created a "Story Illustration" or teaching picture that contains the Bible illustration and story title. A list of the Story Illustrations is below. They are exclusive to the site and the curriculum. You can use these in teaching or as part of a children's sermon. Please do not use these illustrations beyond their intended purpose or for commercial purposes. Shortly before His ascension, Jesus told His disciples they would be His “witnesses” and would make disciples of “all nations” (Matt. 28:19-20). This Great Commission Teaching Picture shows Jesus speaking as He delivered this command. The early church was made up almost exclusively of Jews. 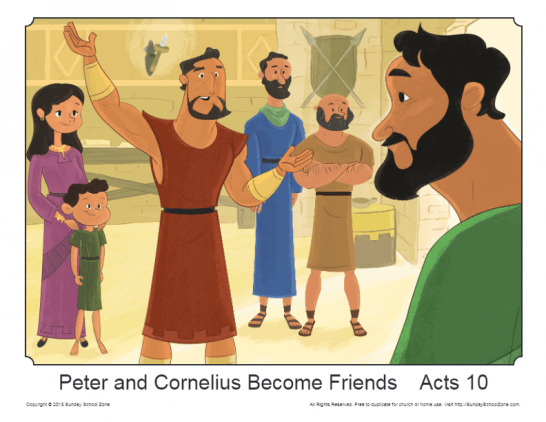 This Peter and Cornelius story illustration can be used to help kids learn this important story and discover that God sees all people the same regardless of race. Jesus’ crucifixion was one of the most horrifying events in history. 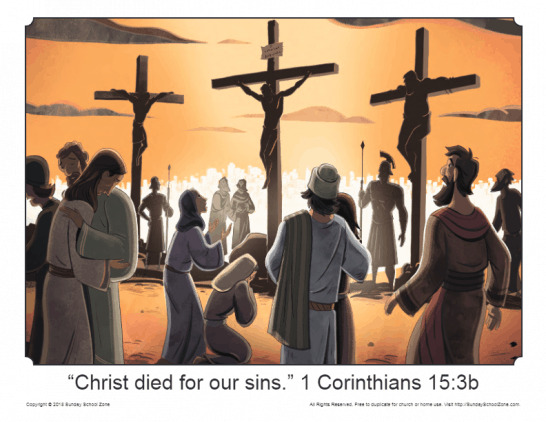 This illustration of Jesus’ crucifixion strikes a balance between the sorrow of the event and the need for an age-appropriate depiction of the scene. Even small children can learn from this illustration. 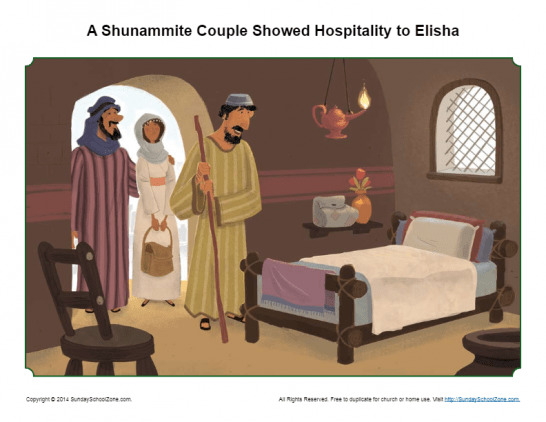 At one point, Elisha was hosted generously in the home of a gracious Shunammite couple. This illustration will help kids learn that hospitality and generosity please the Lord. This Stephen Was Brave Teaching Picture shows Stephen just before he was stoned by the crowd. 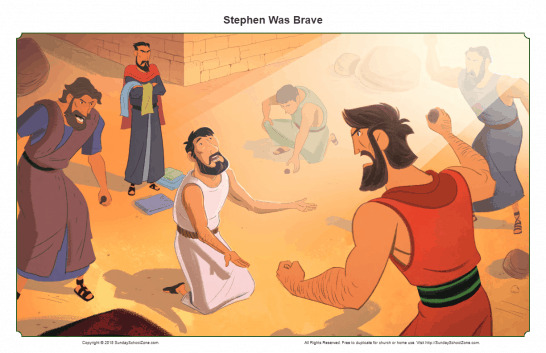 Stephen’s story will help kids understand that faith has a cost but the presence of Jesus always gives courage. 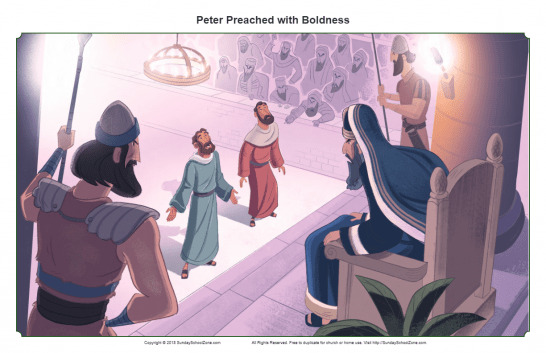 This Peter Preached with Boldness Teaching Picture shows Peter and John before the Sanhedrin proclaiming Jesus, based on the story in Acts 3 & 4. This teaching picture can be used at home or in a class setting like Sunday School. In John 13–17 we read that Jesus shared the Passover meal with his disciples the night before his crucifixion. 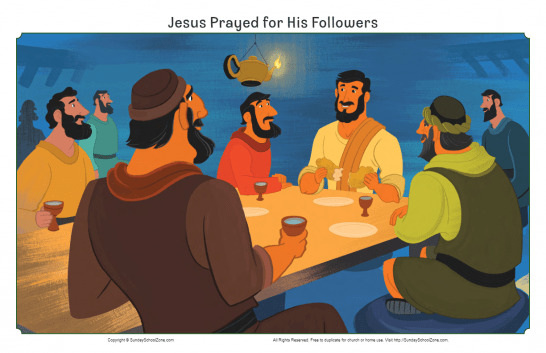 This free Jesus Prayed for His Followers Teaching Picture shows Jesus with his disciples at this meal and will remind kids that Jesus prayed for His disciples.